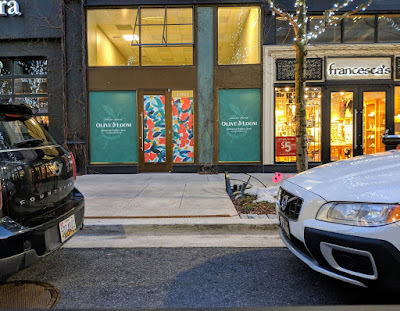 Sabun Home is packing up their downtown Bethesda store this week and relocating to a larger space in Rockville at Pike & Rose, under the new name of Olive & Loom. Olive & Loom is now open for business at 11815 Grand Park Avenue. But they will be officially celebrating their arrival at Pike & Rose with a Grand Opening event this Saturday, March 30, 2019 from 2:00-5:00 PM. Stop by the new store for complimentary hors d'oeuvres and cocktails during those hours. Buzzards like you are not invited to the Grand Opening.